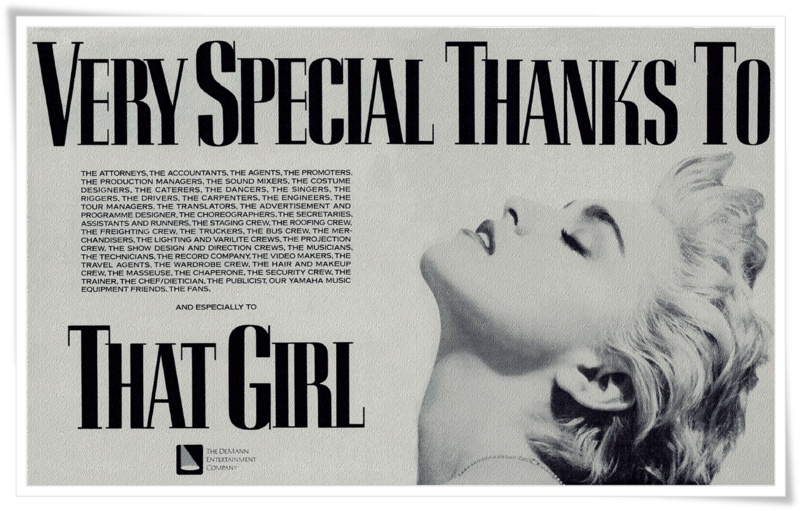 There I have said it!-Live to Tell is Madonna’s best song because it’s also the best song of Rock’s history, lifetime and existence-Live to Tell-a song that will live forever by Madonna-an artist who will live forever-well beyond her lifetime! 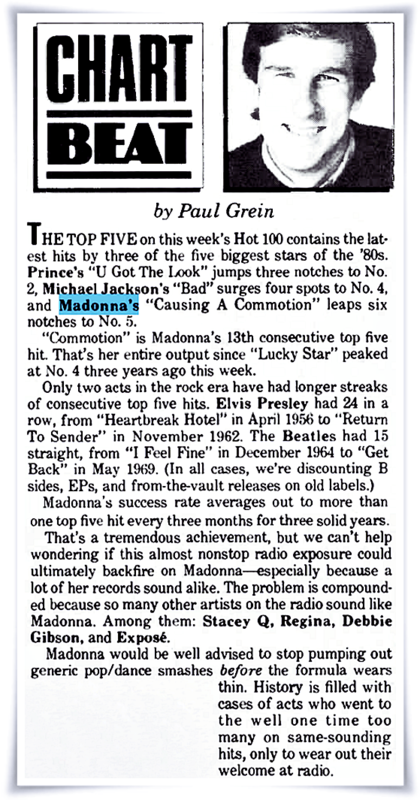 Her records don’t actually “sound alike” to me, up to Causing A Commotion’s release: compare Everybody, Burning Up, Borderline, Gambler, Live To Tell, Papa Don’t Preach, La Isla Bonita. Sure they’re pop, but they all have a distinct sound. And of course, all female singers sound alike, just like all male singers do, from the perspective of an obtuse, undiscriminating, sexist, and insecure critic.